This post is obsolete. Read our new post on Top 8 Online Shopping Sites in Nigeria instead. For the vast global majority Epay.com is popular as well as amazon.com but since this giant companies restrict or gives limited access to Nigerians (and some other countries) they no longer serve as the generally accepted option for it’s massive Populace . We will notify you about our opinion about Nigerian E-commerce (online shopping) websites and companies and list of the best and legitimate ones among them once we make a post on that. Classified adds are the well known source for generating backlinks and increase in number of visitors for an online business. 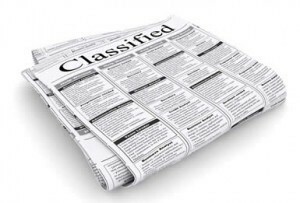 I would like to thanks for sharing the useful list of classified adds. Are you a pastor and you need spirituals power in your ministry, or business man/woman, politician, musical and you want to be rich, powerful and be famous in life.You can achieve your dreams by beaning a member of Illuminati.Also get instant sum 10 million dollars with a free home anywhere you choose to live in the world, With this all your dream and heart desire can be fully accomplish, if u really want to be a member of the great Illuminati then you can contact ILLUMINATI AGENT @ via email lordbrahmarspiritualtemple@gmail.com or call +2348078793935 for assistance. Thanks for this valuable article. The drawback in some of these classified website is that your ads is not allowed to include website link. OLX is a very viable site to place ads. Thanks for a valuable article.We have a best free classified portal called as kuchbee,which occupied a leading market place.Here we can post a free classified ad with out any registration.Apart from that we can buy or sell any goods online directly by dealing with publisher. Nice one bro…..add Sella Nigeria to the list too. The only free classified ads website in Nigeria that protect buyers from getting scammed using escrow service. i think afrideals is one of the best Nigeria classified website because it is easy, fast and reliable.